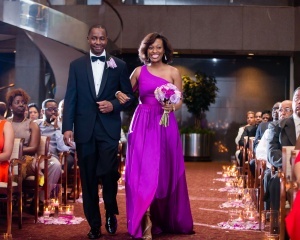 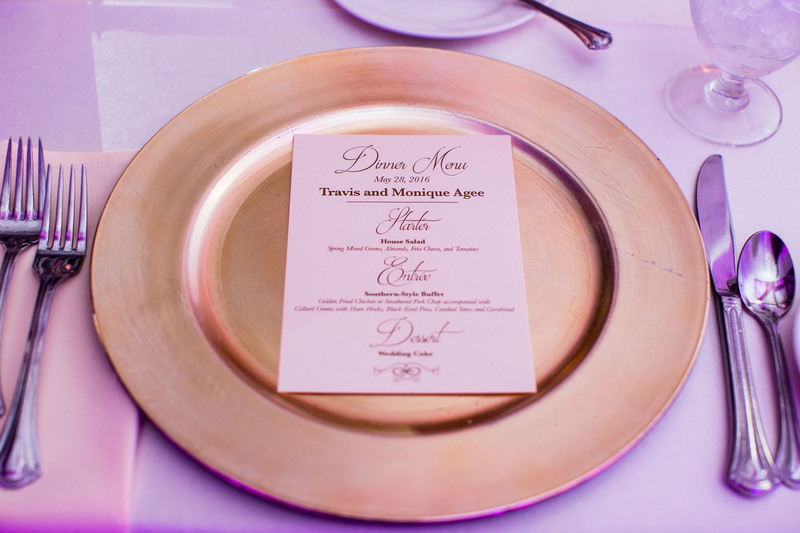 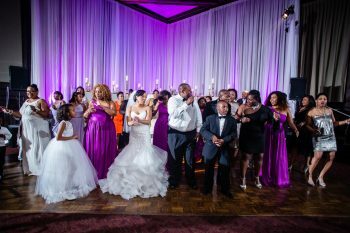 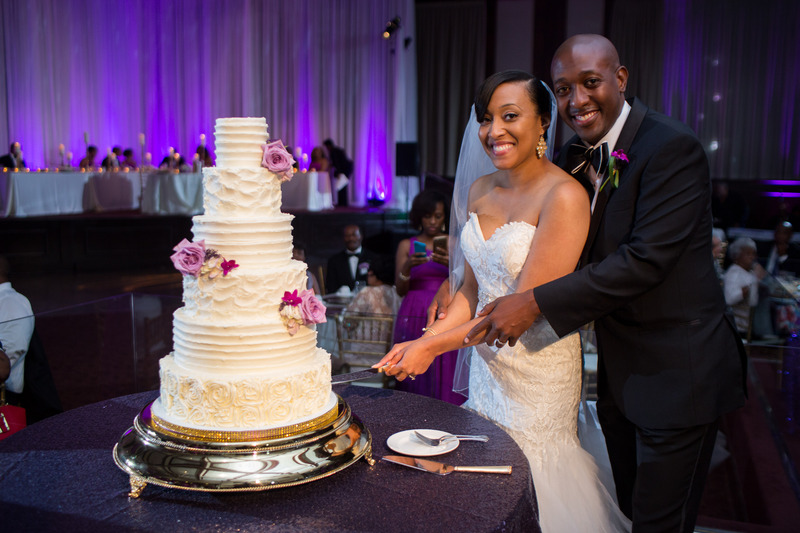 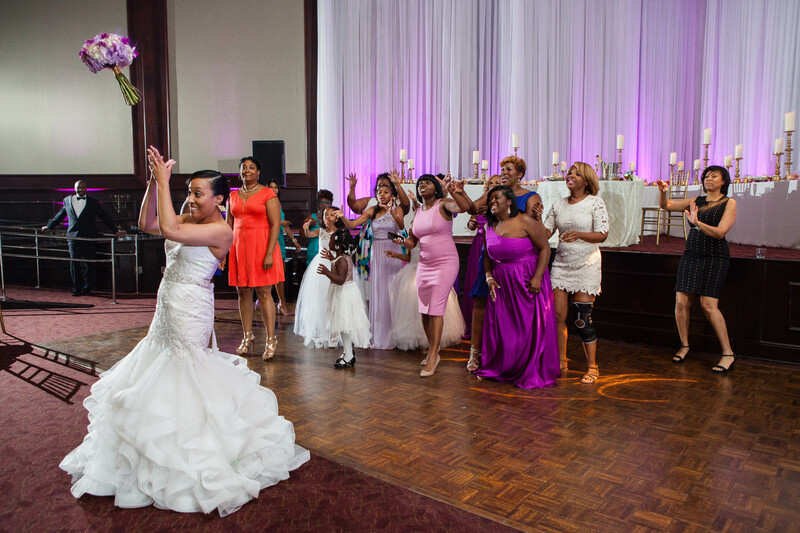 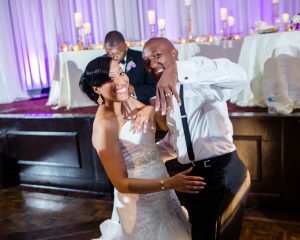 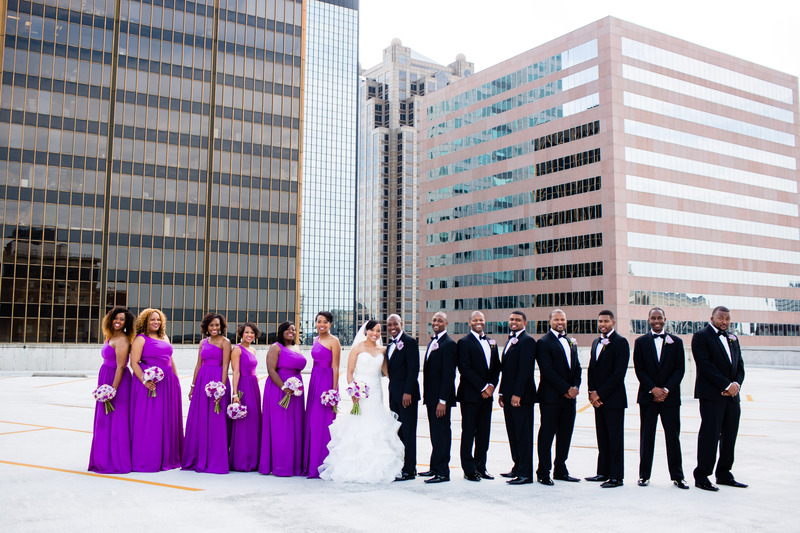 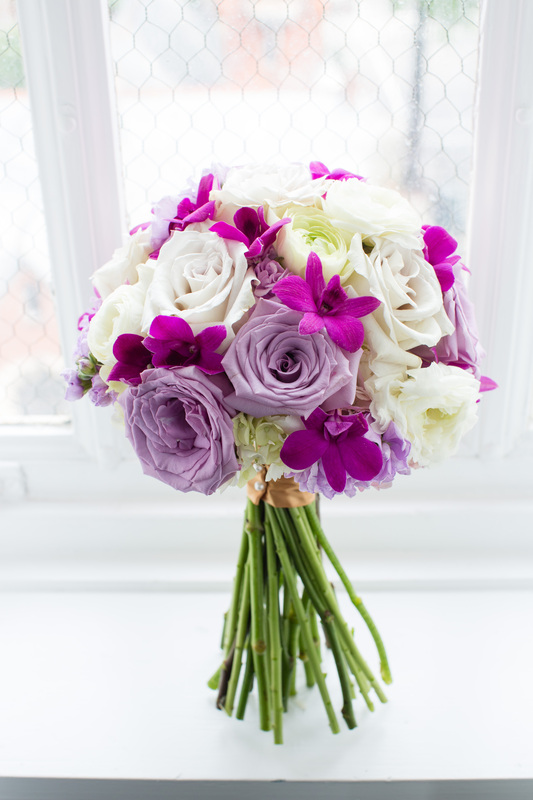 Travis and Monique’s ‘Purple Rain’ themed wedding was like no other! 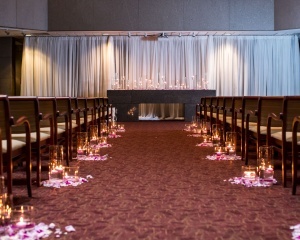 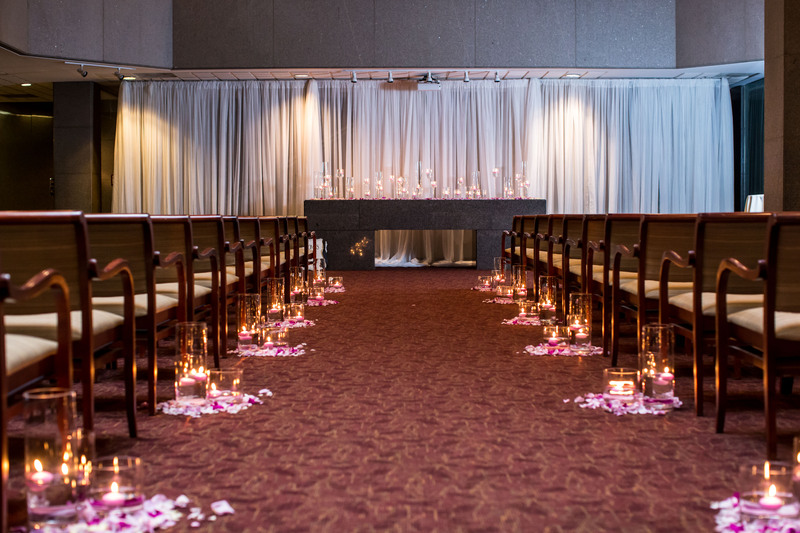 The Atrium was elegantly appointed with soft candlelight and rose petals which made the purple bridesmaids dresses really pop! 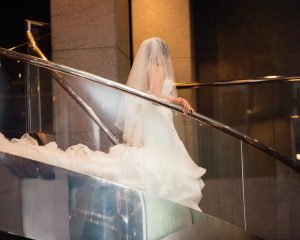 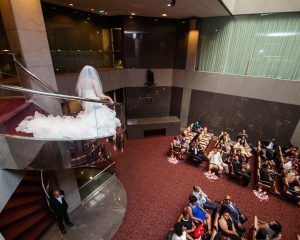 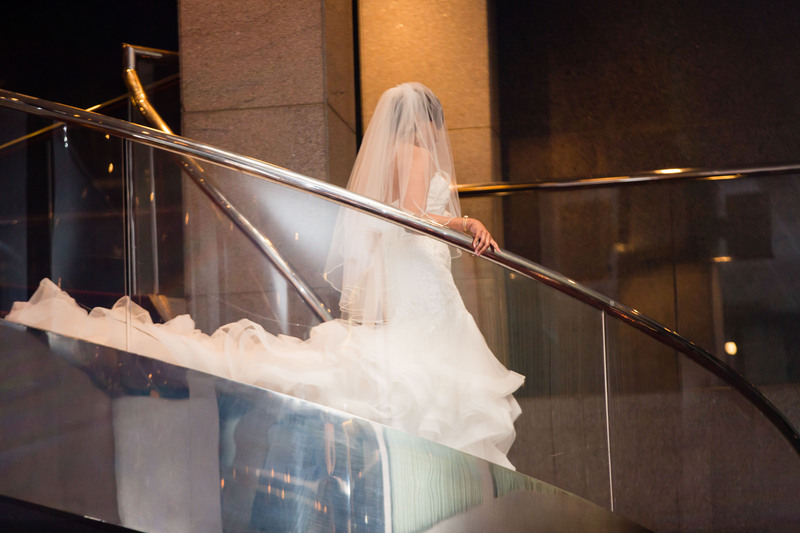 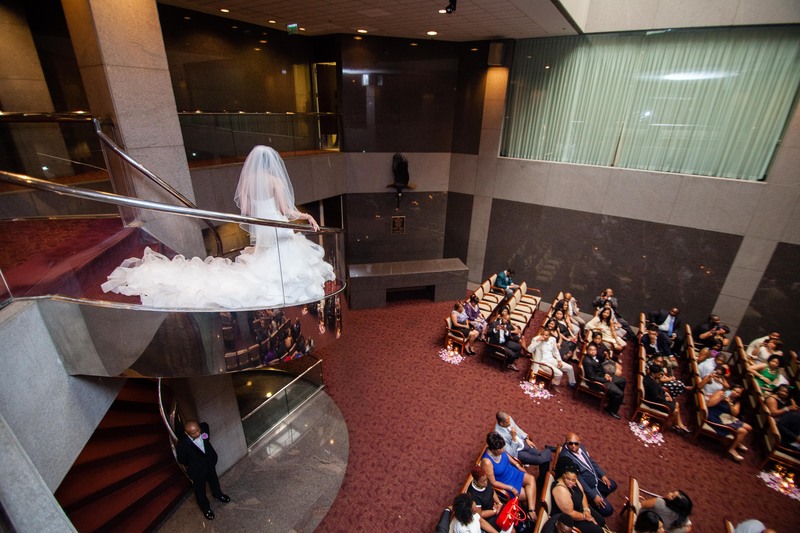 The audience watched in awe as Monique descended down the spiral staircase in her mermaid-style gown. 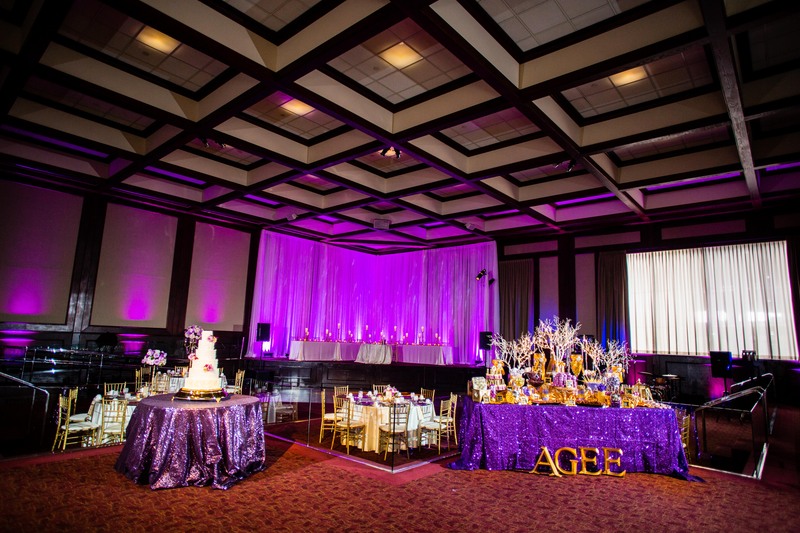 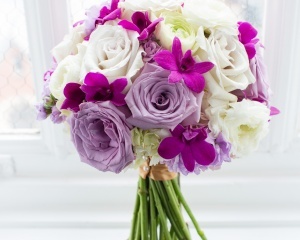 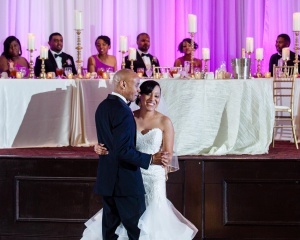 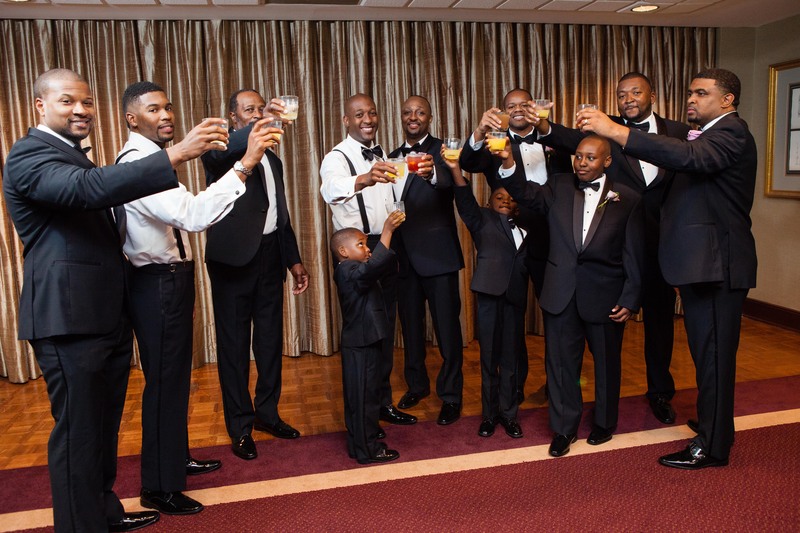 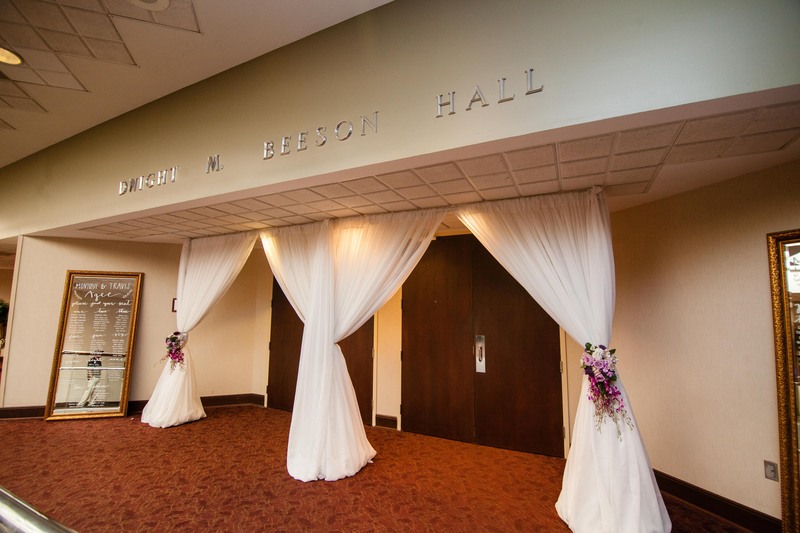 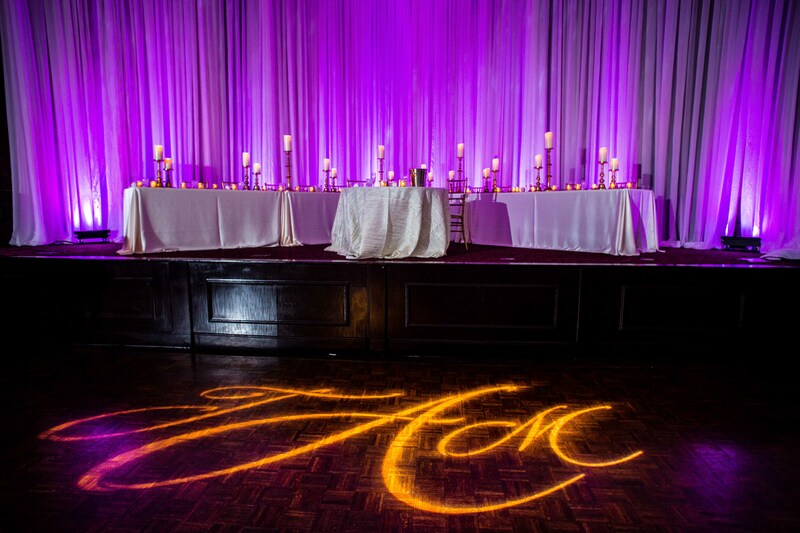 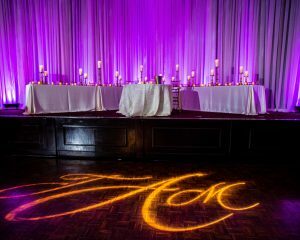 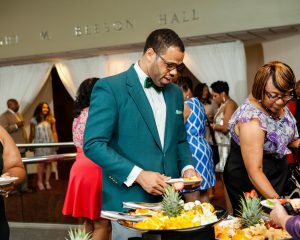 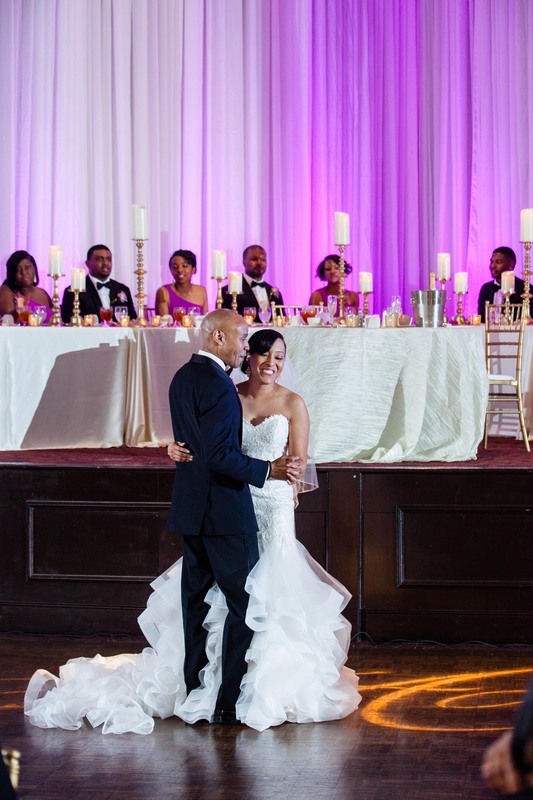 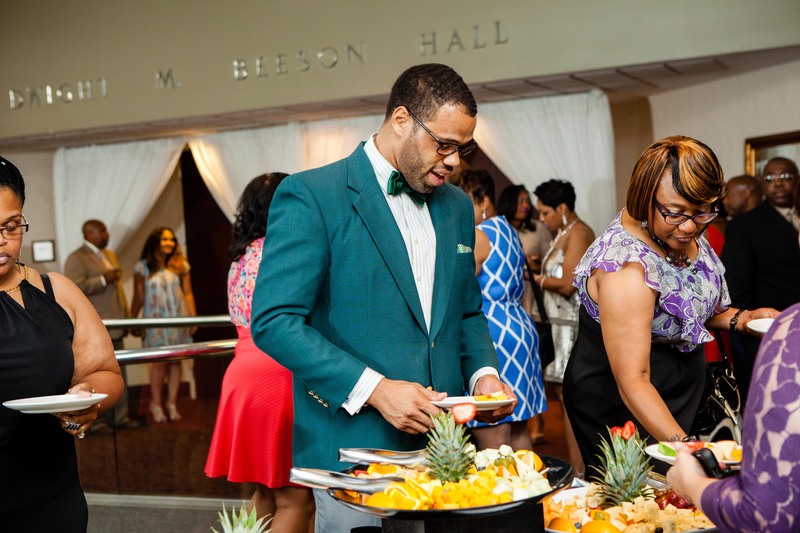 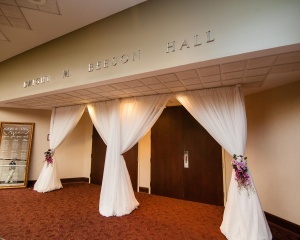 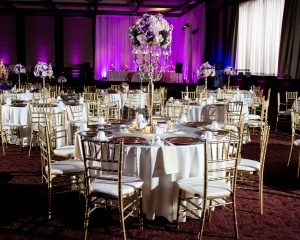 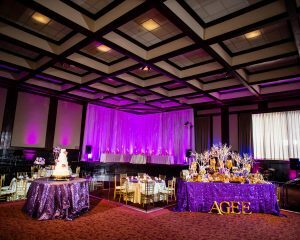 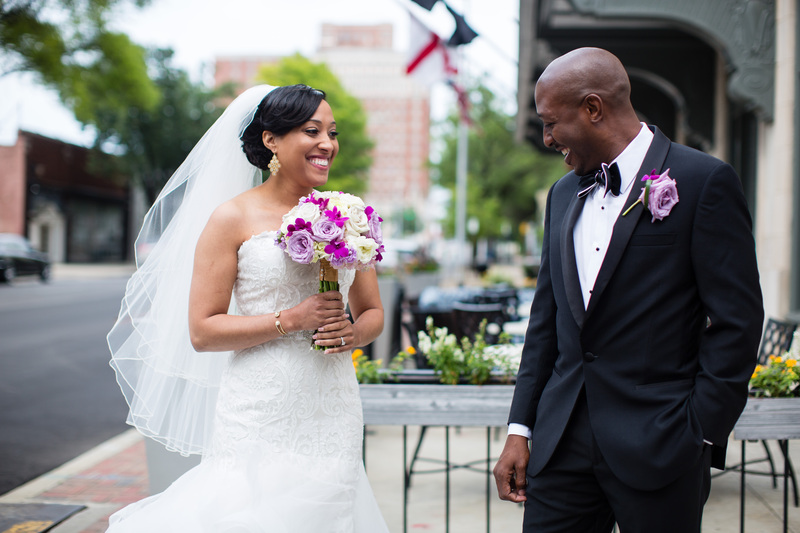 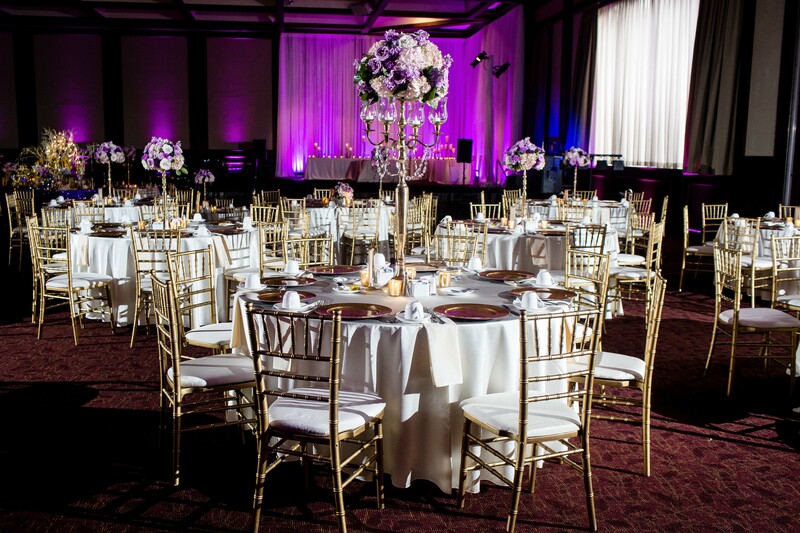 Now that Monique and Travis have said ‘I do’, the guests are treated to cocktail hour and a ‘Purple Rain’ themed reception in Beeson Hall. 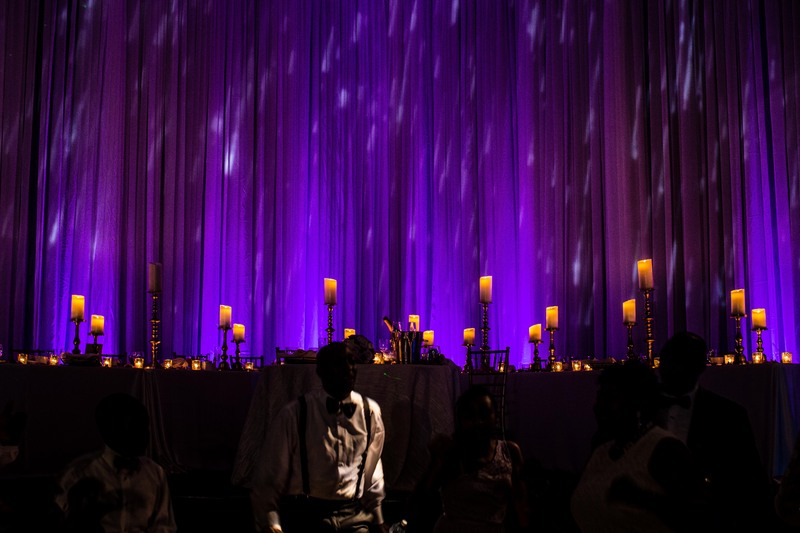 BrittanyB Events and the cast of talented Birmingham wedding vendors transformed the space and incorporated the theme into each detail. 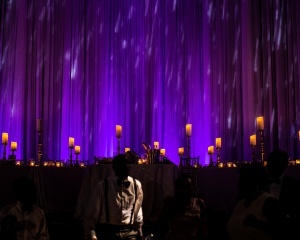 If you look closely, you’ll notice raindrops projected on the drapery behind the head table! 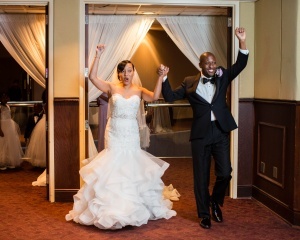 Mr. and Mrs. Agee are introduced and the celebration begins! 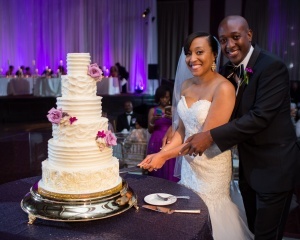 Guests enjoy a ‘Southern Style’ buffet, wedding cake from Cakes by Kim, and a lavish candy buffet. 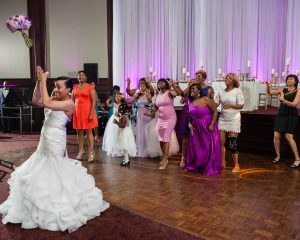 The bouquet and garter have been tossed, the night draws to an end, and it’s time to send Monique and Travis on their way! 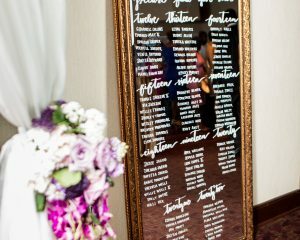 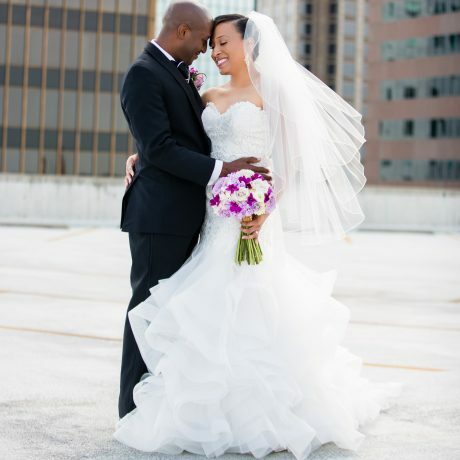 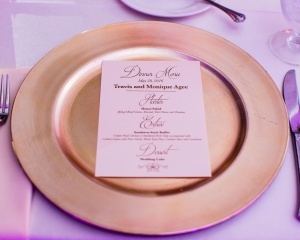 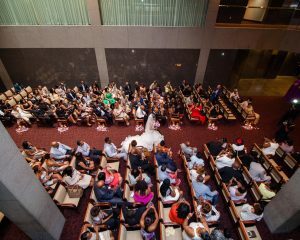 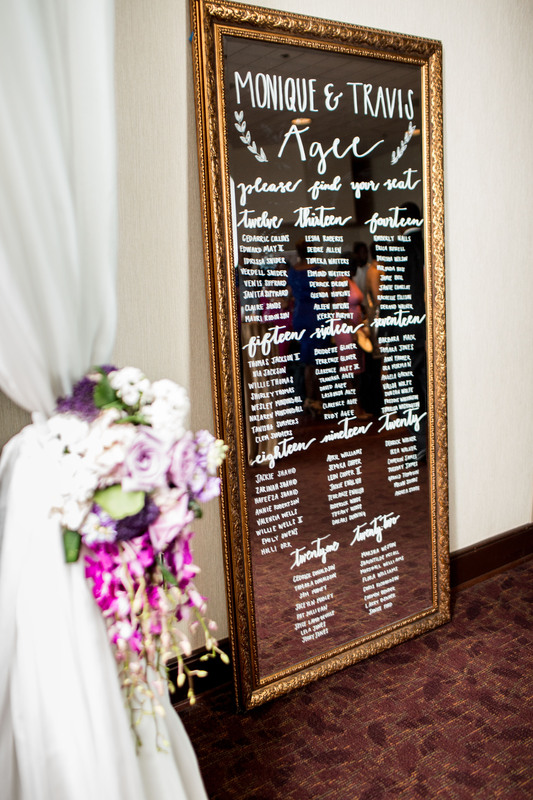 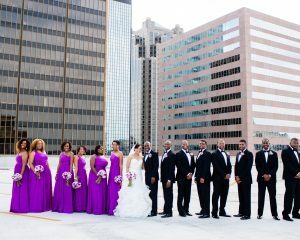 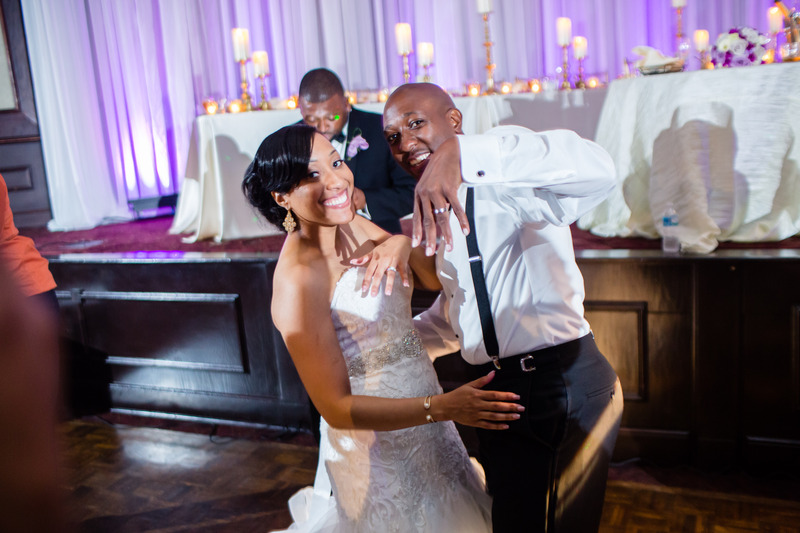 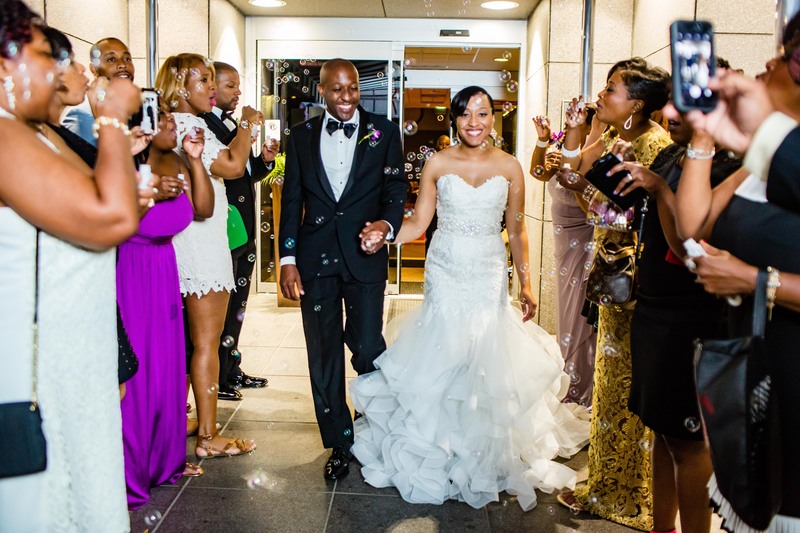 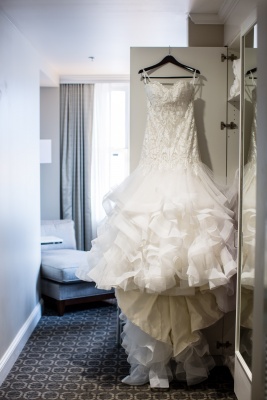 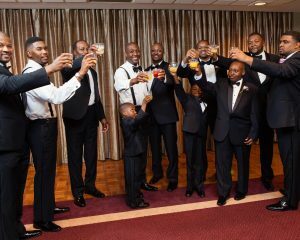 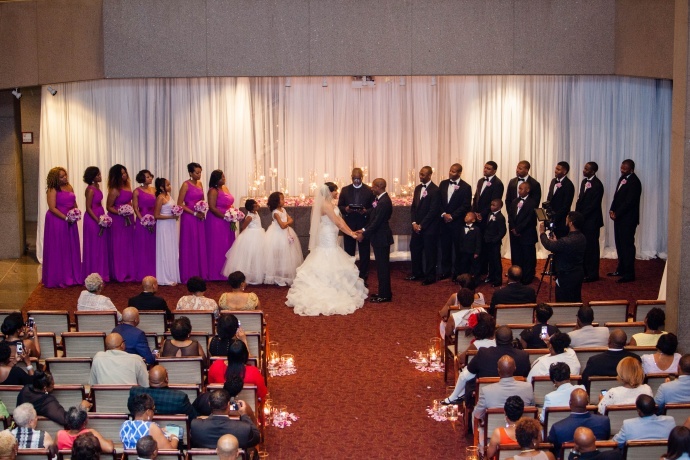 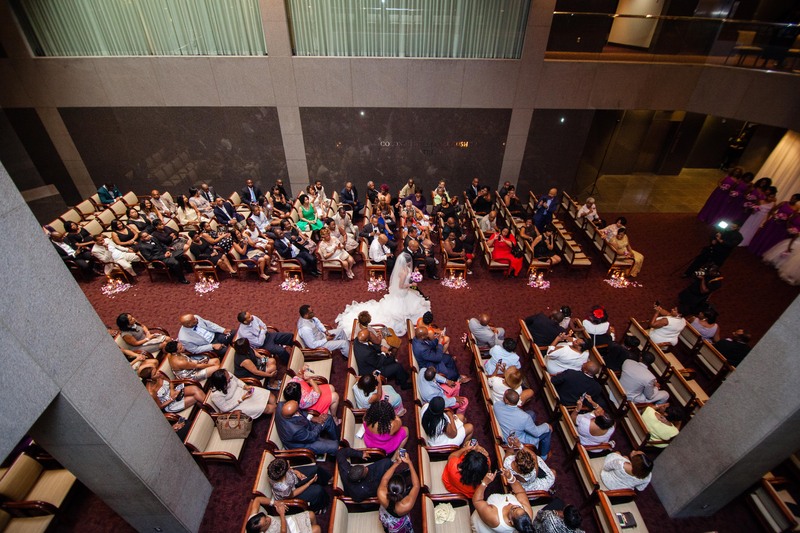 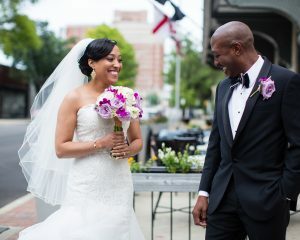 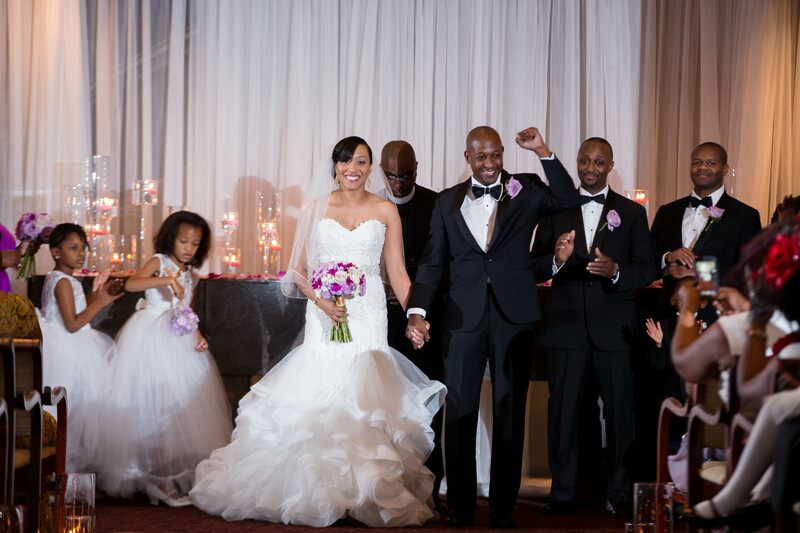 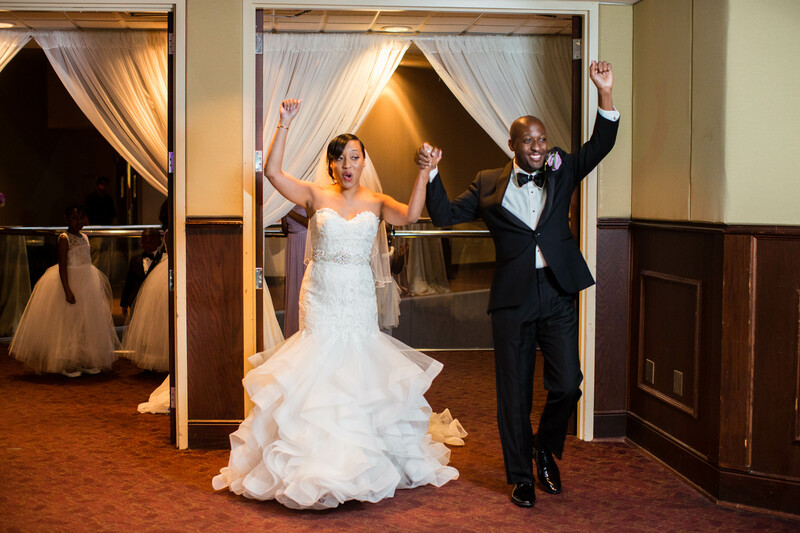 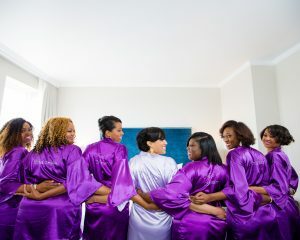 A special thanks to all the vendors that played a part in creating Monique & Travis’ wedding day!